Welcome to The MGA Academy of Performing Arts’ (MGA) privacy notice. MGA respects your privacy and is committed to protecting your personal data. This privacy notice will inform you as to how we look after your personal data when you visit our website (regardless of where you visit it from) and tell you about your privacy rights and how the law protects you. This privacy notice aims to give you information on how MGA collects and processes your personal data through your use of this website, including any data you may provide through this website when you sign up to our newsletter, purchase a product or service, make an enquiry or take part in a competition. The MGA Academy of Performing Arts Limited is the controller and responsible for your personal data (collectively referred to as “MGA”, “we”, “us” or “our” in this privacy notice). Please see the Glossary and Internal Third Parties for details of the other relevant MGA companies and associates which may process your data, this privacy notice is issued on behalf those relevant entities. Contact Data includes billing address, delivery address, home address, tem time address, email address and telephone numbers. We collect Special Categories of Personal Data where required from time to time, for example for health and safety purposes for instance where you apply to become a student (or become a student) and require to take part in auditions etc (this includes details/ information about your health and genetic and biometric data). We collect any information about criminal convictions and offences where relevant in conjunction with the Protecting Vulnerable Groups (PVG) scheme, Disclosure Scotland and the Disclosure and Barring Service (DBS). Contact, Financial and Transaction Data from providers of technical, payment and delivery services such as Big Cartel based outside the EU. Identity and Contact Data from data brokers or aggregators (such as PVG, Disclosure Scotland and DBS). Identity and Contact Data from publicly availably sources such as the Electoral Register based inside the EU, public registries and regulators. Generally we rely on consent or legitimate interests as a legal basis for processing your personal data in relation to sending direct marketing communications to you via email or text message. You have the right to withdraw consent to marketing at any time by contacting us. We will get your express opt-in consent before we share your personal data with any company outside the MGA group of companies for marketing purposes. Where you opt out of receiving these marketing messages, please note that we will still require to process your personal data in connection with the services we are contracted to provide to you (e.g. as a student), or as a result of a product/service purchase, product/service experience or other transactions. We share our personal data with certain MGA companies (see Internal Third Parties below), this will not involve transferring your data outside the UK or European Economic Area (EEA). The majority of our external third parties are based within the EEA so their processing of your personal data should not involve a transfer of data outside the EEA. In some circumstances you can ask us to delete your data: see Request erasure (Glossary) below for further information. Other companies in the MGA Group (which means our subsidiaries, holding company and its subsidiaries, as defined in section 1159 of the Companies Act 2006) or that are owned by any of the members of MGA Performing Arts Limited, acting as joint controllers or processors and who are based in the UK. This includes Fierce Theatre Schools Limited and MGA Management and Casting Limited. These companies provide various IT, secretarial, system administration services, administrative functions and undertake leadership reporting.  HM Revenue & Customs, Scottish Qualifications Authority (SQA), Council for Dance Education and Training (CDMT), Bath Spa University, regulators and other authorities and membership bodies acting as processors or joint controllers.